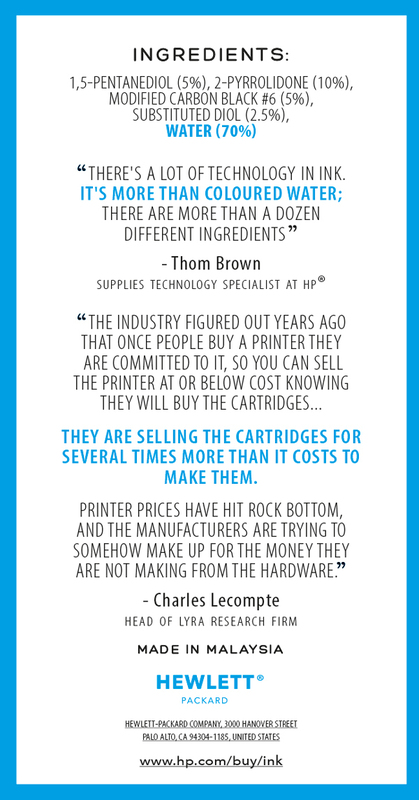 NineMSN created an infographic last year in a bid to show the absurdity of how much printer ink truly costs: about US$4-5K per liter, even more than the iconic Chanel No. 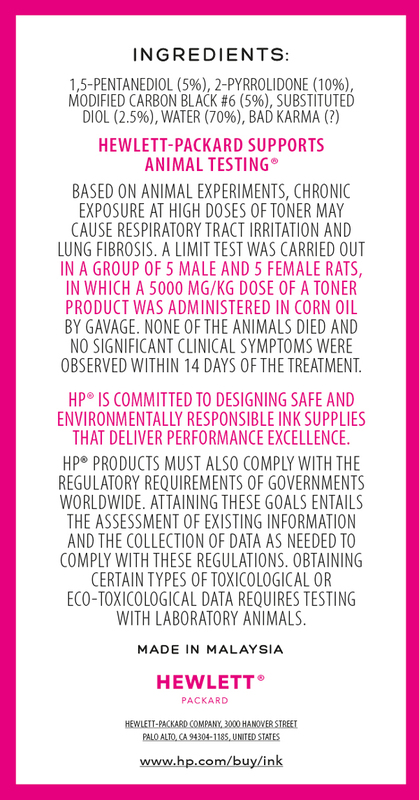 5 perfume. 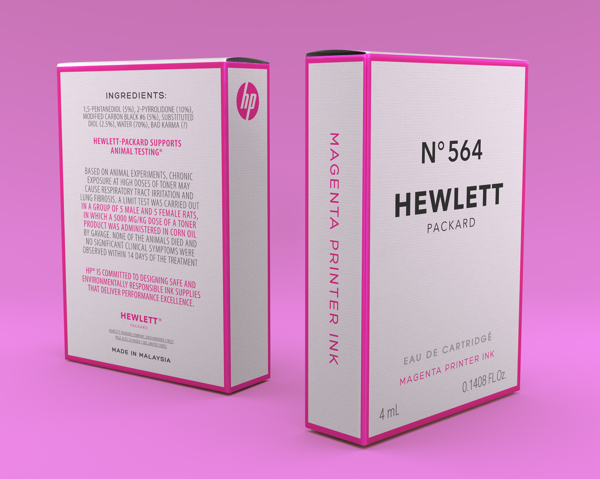 In response to the steep price, Celeste Watson has given the packaging of Hewlett Packard’s household printer ink cartridges a new look. 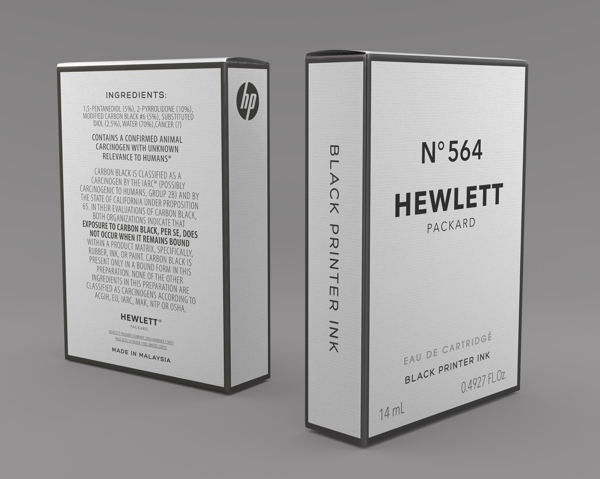 The Melbourne, Australia-based communication design student redesigned Hewlett Packard’s printer ink to feature a box displaying details of the product, in the same style as the box of the Chanel No. 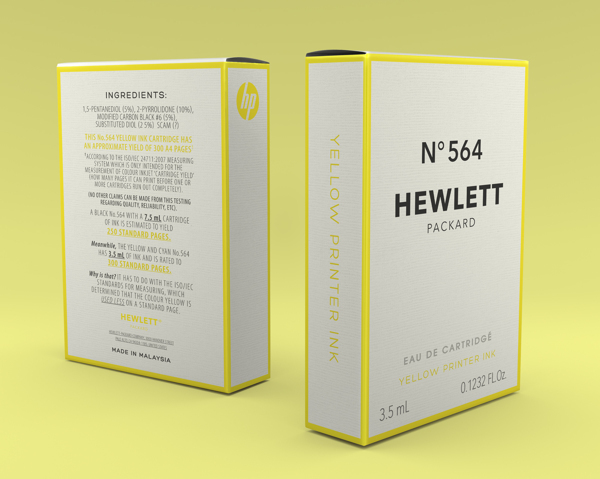 5 fragrance: simple, chic typeface on a white background, with fine borders. 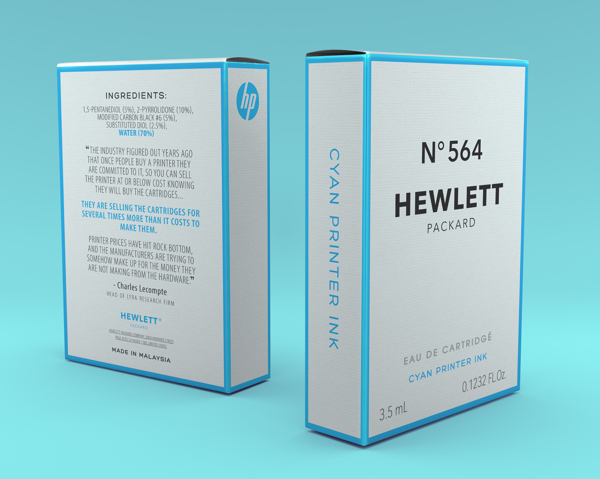 Repackaged not just to look like a fancy box of perfume, the ‘Hewlett Packard No. 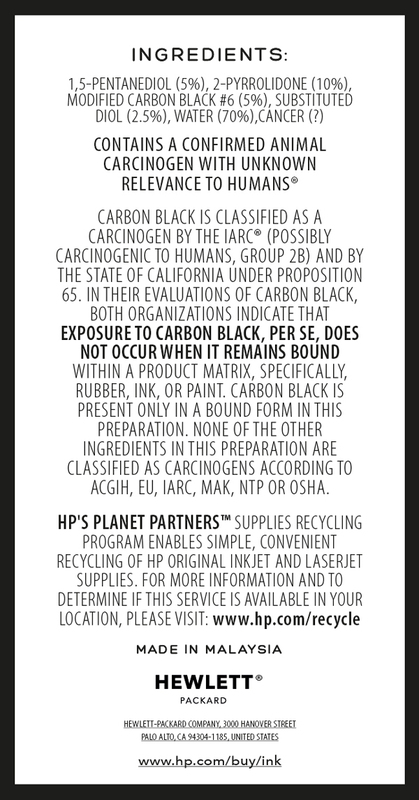 564’ also questions the value of a product that’s marketed as a household product, in comparison to a luxury item—with information on the back of the packaging that reads descriptions, such as: “It’s more than colored water”. 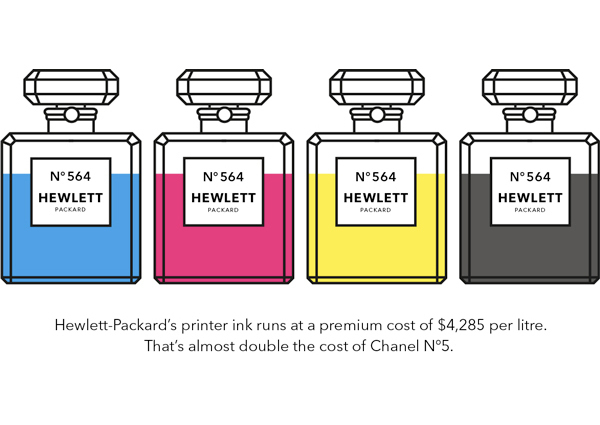 The project aims to “resolve the current discrepancy between the price of the product and its packaging,” she wrote. 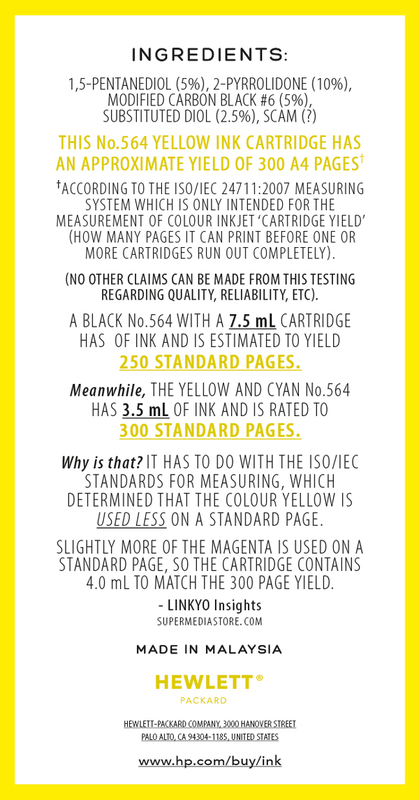 Should printer ink be sold in such packaging to make up for its cost—what do you think?